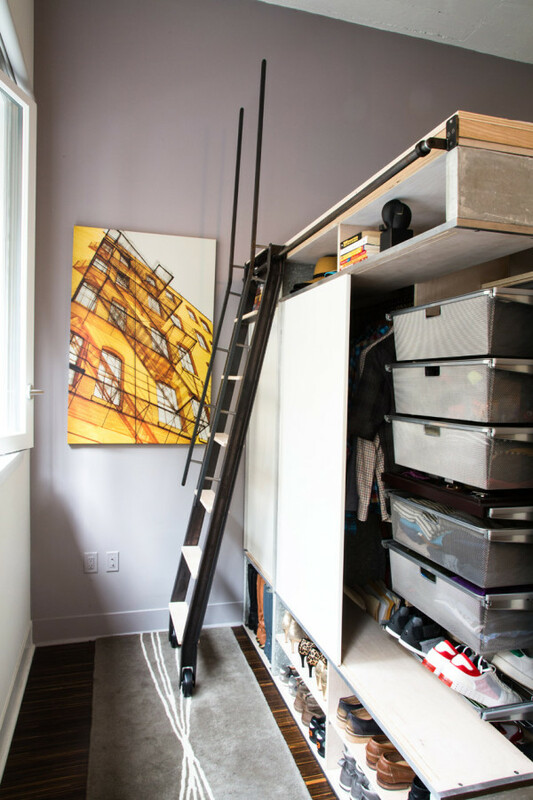 When you live in relatively small spaces, you have to think big, which is what Charles Irby and Peter Suen did when it came to this condo in San Francisco. 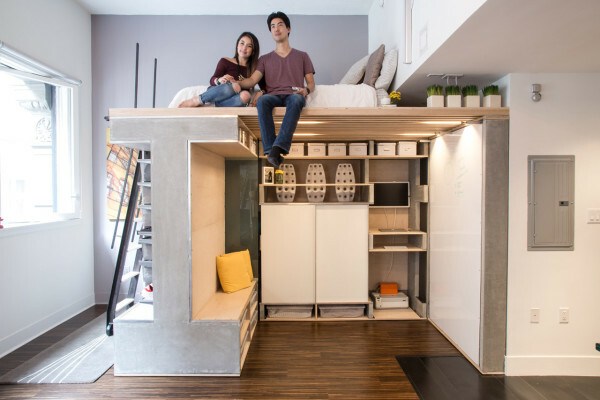 The 500 square foot urban residence needed more function so they designed a pre-fabricated loft that packs a multitude of functions into its compact design. 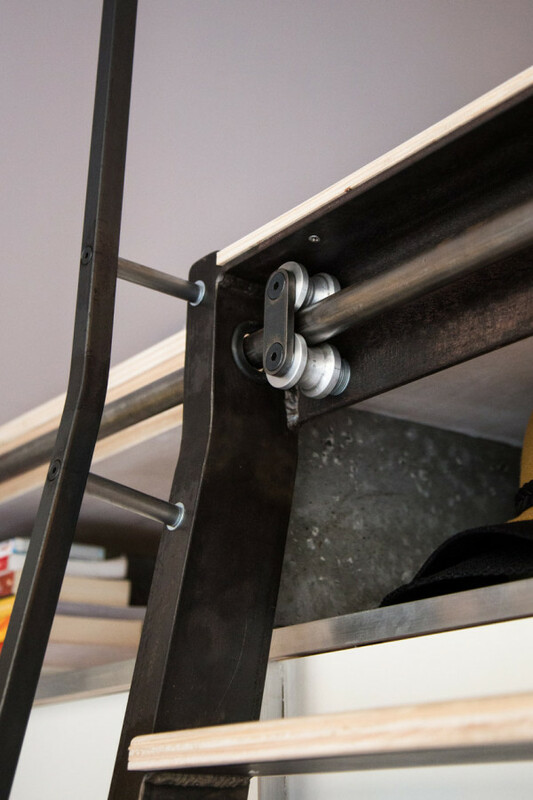 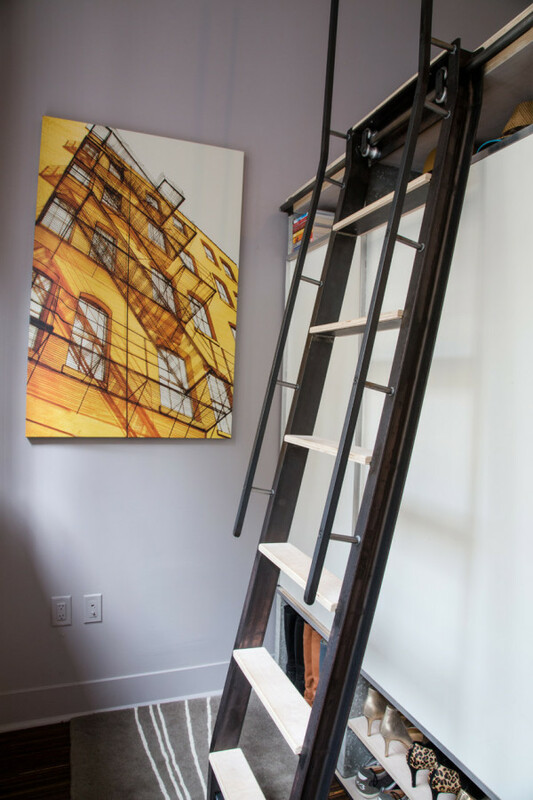 The loft system transforms into several configurations based on what’s needed, like a work office, a dining area, a guest bedroom, a media room, and a custom walk-in closet. 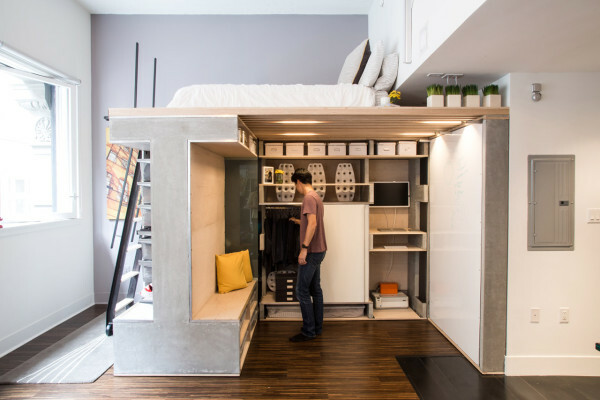 The built-in Murphy bed doubles as a whiteboard when in the “work” mode. 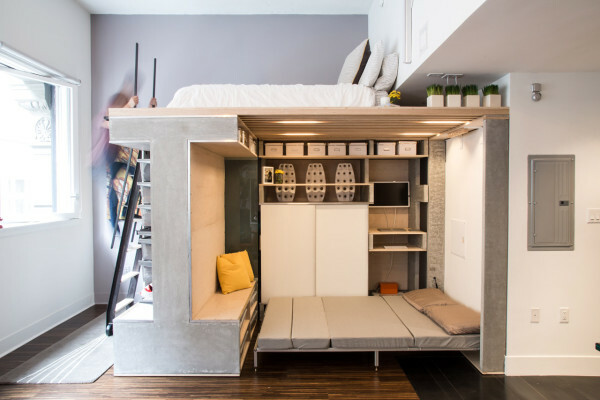 Besides the Murphy bed, it holds another bed above. 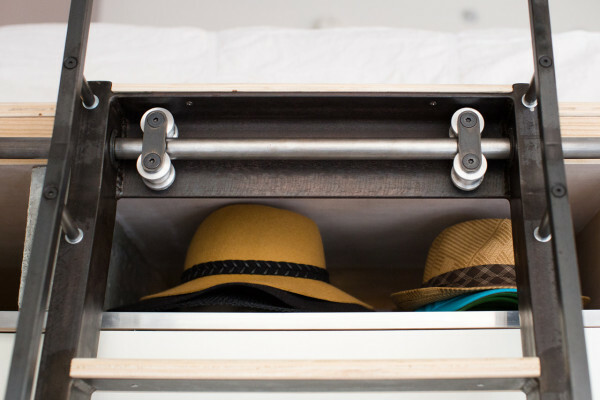 On the outside of the unit, there’s additional closet-type storage, along with a ladder leading to the loft. 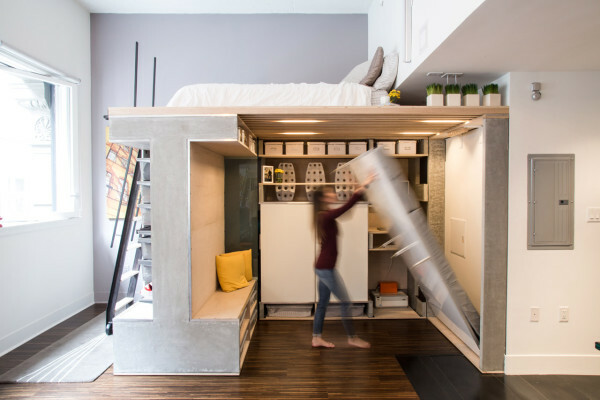 via Design Milk | Photos by Brian Flaherty.